To view more work by Jane Price, please click on the tag in the right column. 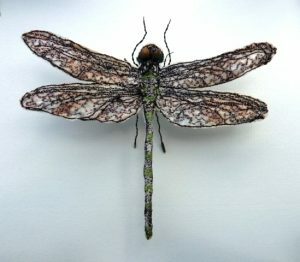 This entry was posted in For the Wall, Online Gallery Overview, textile and tagged 45Southside Gallery, Dragonfly, Framed Art, Jane Price, textile art on September 24, 2015 by 45 Southside. 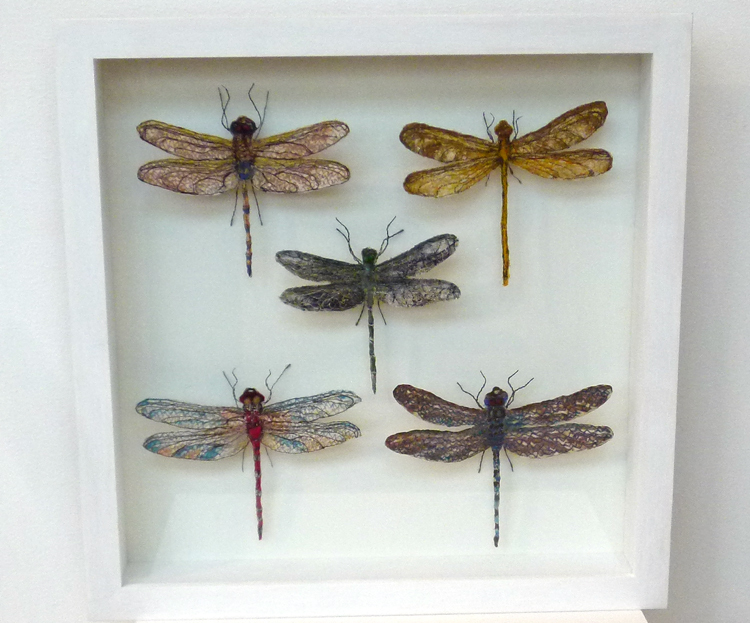 We have so much insect inspired art and jewellery at the minute, that I thought they deserved their own post. 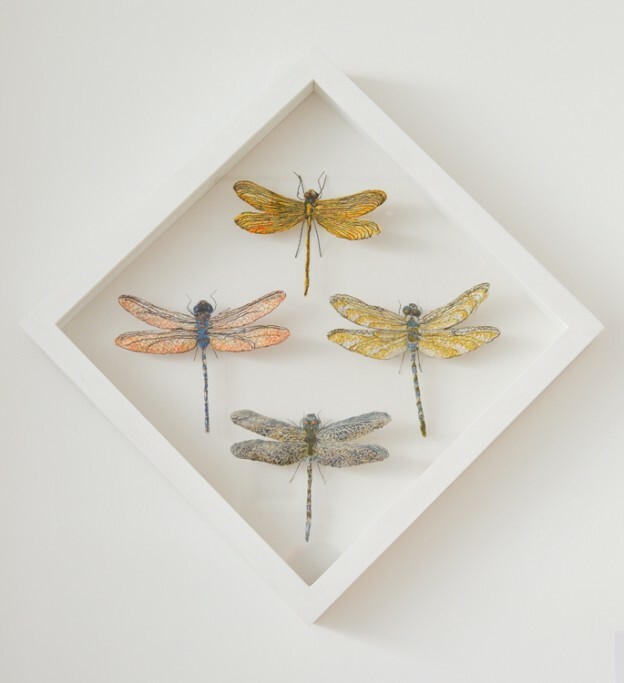 Adorn your walls with dragonflies made out of embroidered silk in boxes, butterflies made from wirework or a poetrytile featuring a grasshopper. 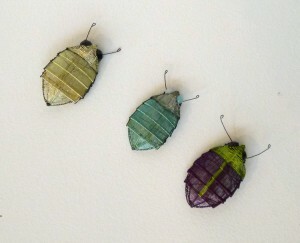 Kate Packer also makes bug and moth brooches as well as earrings and necklaces. 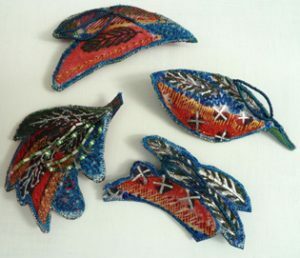 They are all made from a combination of her intricately woven coloured metal wire and semi-precious stones or beads. Flies, spiders and butterflies are also part of Remon Jephcott’s Victorian inspired ceramics. 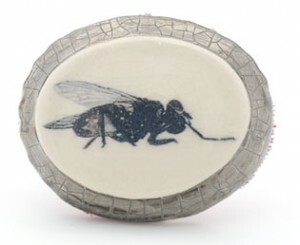 For her jewellery range she combines images of flies and spiders with traditional shapes and gold or silver lustre. You can find a selection of works in the online shop and much more in our gallery on Plymouth’s historic Barbican. 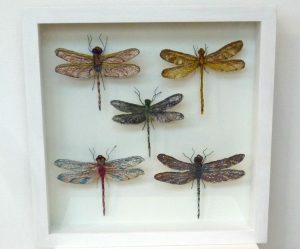 This entry was posted in Gift ideas, New Work, News Overview and tagged Beverley Bailey, ceramics, iris milward, Jane Price, Jewellery, Kate Packer, Metalwork, remon jephcott, textile art on November 22, 2013 by 45 Southside. This entry was posted in For the Wall, Online Gallery Overview, textile and tagged animals, Jane Price, textile art on November 17, 2013 by 45 Southside. Today’s artist in the spotlight is Jane Price. Exactly four years ago, her work was our very first feature exhibition. At the time, Jane worked with inlaid papers and photo- and lucidagrams. 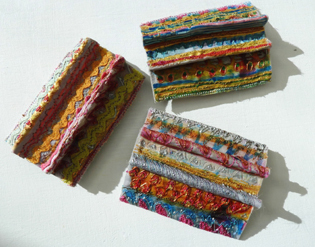 Even though her work is mixed media, her first love was always textiles. Jane’s first year of art training was at Dartington College of Arts in 1967, followed by a Diploma in Art and Design in Textiles/Fashion at Camberwell School of Art 1968-1971. Jane lives and works from her studio in Exeter and has been a member of the Devon Guild of Craftsmen for 25 years where she frequently exhibits. 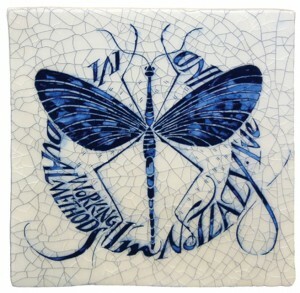 Some of Jane’s work is also available in the online shop and more will be added very soon. 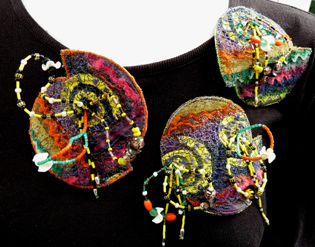 This entry was posted in Exhibitions, New Work, News Overview and tagged Jane Price, Jewellery, textile art on October 25, 2013 by 45 Southside. This must be one of the most sumptuous and tactile exhibitions we have ever had. 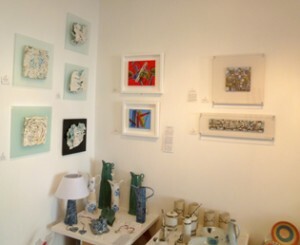 Come and see for yourself tomorrow from 3pm with a chance to meet some of the artists. It is British wool week this week, which is a good reason to feature Debbie Rudolph’s weaving. 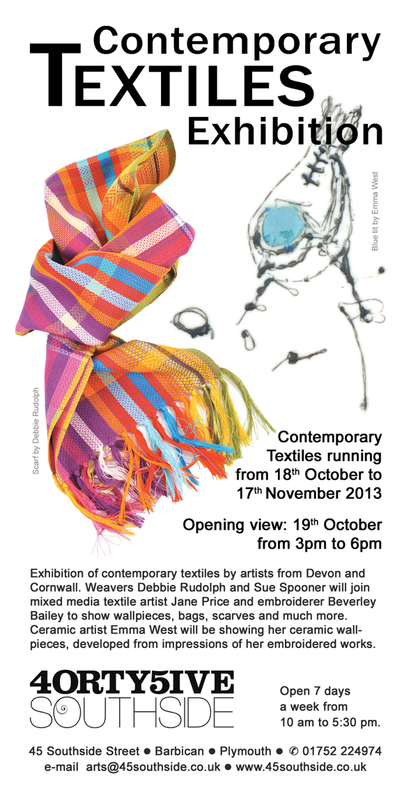 We will feature the other artists, fellow weaver Sue Spooner, contemporary embroidery by Jane Price and Beverley Bailey, mixed media textiles by Helen Edwards as well as ceramic panels, which started as embroidery by Emma West, in the coming days here in our news page..
Artisan Weaver Debbie Rudolph lives in Cornwall and gained extensive weaving experience during a degree from Central Saint Martins College of Art and Design in London followed by a weaving scholarship with the International Wool Secretariat. 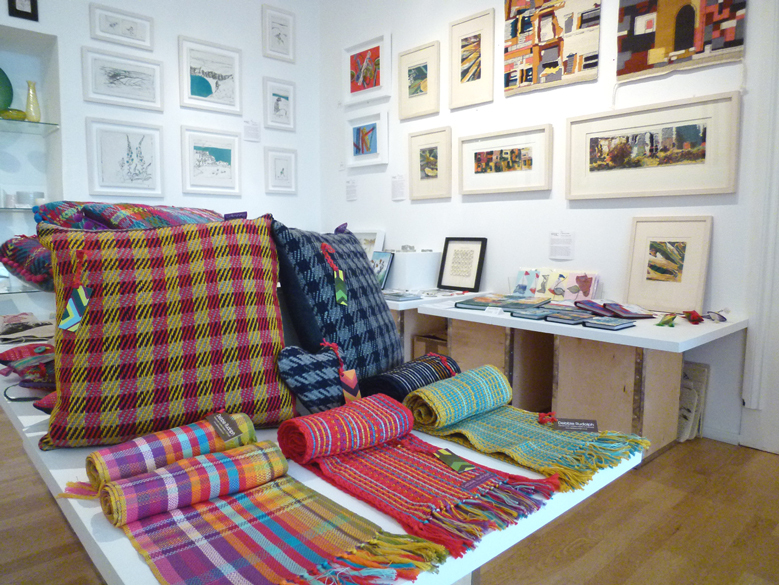 Debbie uses her experience to create wonderful materials, which she turns into scarves, cushions, purses and bags. She weaves on a 40 year old Swedish made ‘Lillstina’ Loom. 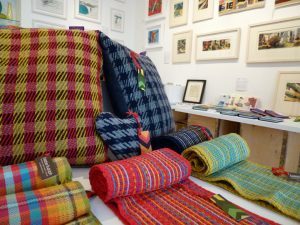 Her designs use surface texture and a bold approach to colour to create visually exciting and tactile beautiful textiles which conjure up other cultures and eras, while remaining refreshingly contemporary. Find out more about the event on Saturday 19th October here. 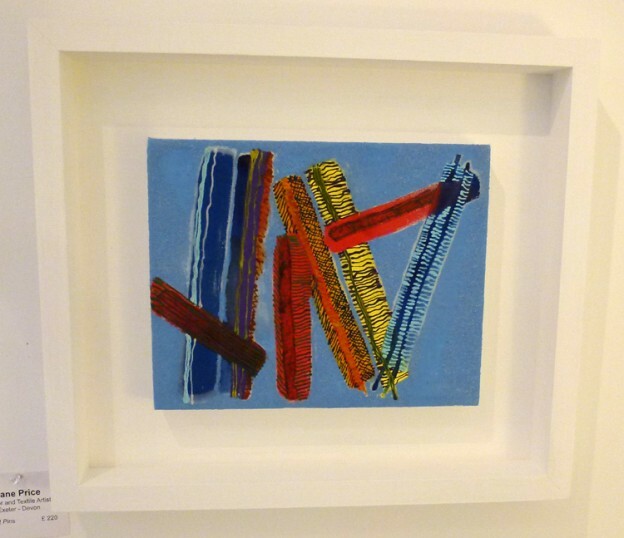 This entry was posted in Exhibitions, New Work, News Overview and tagged Beverley Bailey, exhibitions, Helen Edwards, Jane Price, textile art on October 18, 2013 by 45 Southside. Join us for your chance to meet the artists on Saturday October 19th from 3pm. 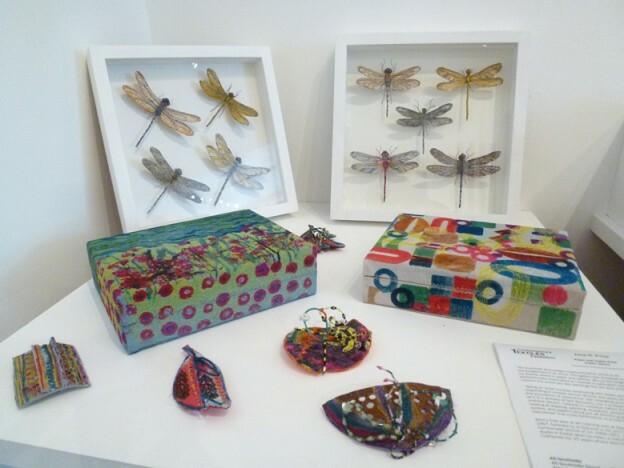 This entry was posted in Exhibitions, News Overview and tagged Beverley Bailey, ceramics, exhibitions, Jane Price, textile art on September 2, 2013 by 45 Southside. A few weeks have passed since the last ‘What’s in Store’. You have been keeping our artists busy with plenty of commissions. Next to bespoke orders we have also had plenty of new work delivered. Jan Brewerton, Lincoln Kirby-Bell and Kate Packer have been busy. Lincoln’s latest design includes a range of tableware and this wallplates with frogs. Kate has been busy making jewellery, including her popular bug brooches and wall pieces. 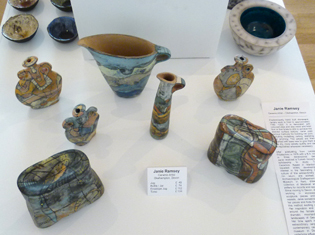 We also have a new ceramic artist at 45 Southside Janie Ramsey. Watch this space for a post on her work in detail soon. Janie’s work is inspired by her time in Turkey as well as archaeology. Coincidentally, one of the pewter wallpanels delivered by Melanie Guy recently is called Turkish Atmosphere. It is the smaller more colourful pewter panel underneath the larger panel. Also back with new work are Hamlin and Wright with their fused glass panels towards the back of the picture. ‘Paris’ is a rare Cityscape mosaic by Jude Freeman. 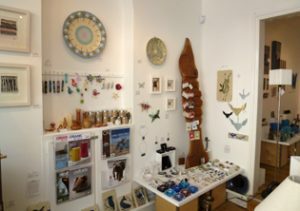 Jenny Beavan and Jane Price have also created new work. 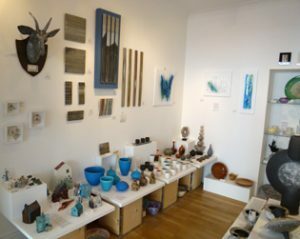 This entry was posted in New Work, News Overview and tagged ceramics, hamlin & Wright, Jane Price, Jenny Beavan, Jewellery, Jude Freeman, Kate Packer, Lincoln Kirby-Bell, melanie guy, Metalwork on July 12, 2013 by 45 Southside. Here at 45 Southside we are currently planning a textile exhibition from 18th October – 17th November 2013. Jane Price is one of the five artists who will be exhibiting. Part of the exhibtion will be three artists who have not exhibited with 45 Southside before, Debbie Rudolph, Sue Spooner and Emma West. Jane has recently delivered some of her new work, a little taster of her textile work. Many of you will remember Jane for her stunning inlaid paper and three-dimensional mixed media pieces, but textiles and stitiching have always been part of her work. This entry was posted in Exhibitions, New Work, News Overview and tagged exhibitions, Jane Price, textile art on June 30, 2013 by 45 Southside. 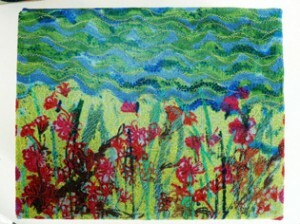 This entry was posted in For the Wall, Online Gallery Overview, textile and tagged Jane Price, textile art on June 27, 2013 by 45 Southside.